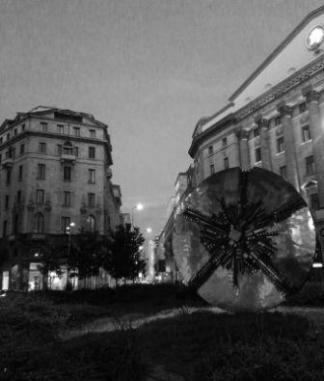 The silent presence of these large monuments of illustrious people and, at times, even of illustrious unknowns, along with solid shapes of mysterious elegance, dominates squares, large and small, throughout Milan. They go almost unnoticed as they mark symbolic places in the city, unless used as landmarks for appointments or glanced at distractedly while waiting for the traffic lights to turn green. Monuments in Milan are all this and more: fragments of history that help to keep alive the memory of an event, of a name impressed on our culture to whom we can finally give a face. We will discover some of the most significant, seen dozens of times but never really observed. Then, to learn more about the artist Arnaldo Pomodoro, come with us underneath the Steel Factory ​Calzoni Riva in Milan, where, until 2011, the Pomodoro Foundation resided. Here you will explore​ an underground space of about 170 square metres, where ​the artist created a kind of labyrinth, dotted with sculptures and bas-relief walls.